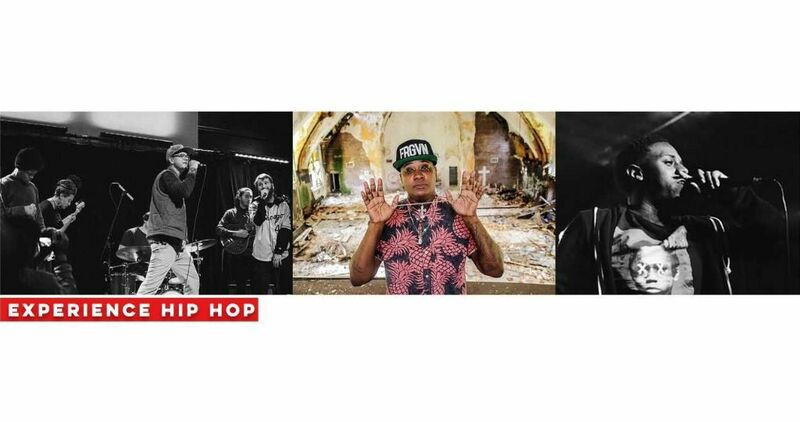 Welcome to the St. Louis Sound Project, an exciting new music festival spotlighting the city’s distinctive music traditions with vibrant St. Louis acts covering five genres across five of the most important local venues. Inspired by St. Louis’s rich musical history, the St. Louis Sound Project emerged as a celebration of the book St. Louis Sound: An Illustrated Timeline and its subject, the unique and beloved music of St. Louis. 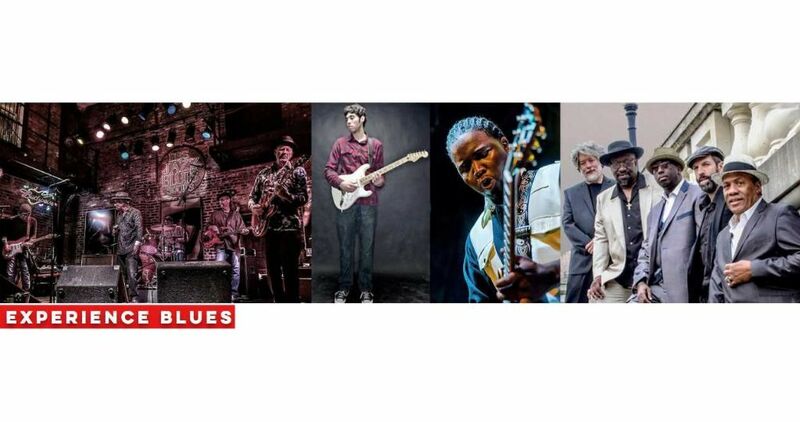 Experience a weeklong series of five shows that pay tribute to genres with deep roots in the Gateway City—blues, hip-hop, rock, americana, and jazz. Musicians include bandleader and jazz/folk singer Tonina, blues guitarist Marquise Knox, legendary restaurateur and soul singer Robbie Montgomery, the hip hop-steeped genre bending collective Looprat, rock titans Finn’s Motel, Americana specialists Colonel Ford, plus many more. All ages. Doors at 7pm. Some of the most notable jazz players of all time came from St. Louis including bassist Jimmy Blanton and trumpeter Miles Davis, who were major influences in the development of this most American of music styles. Experience jazz at its best on March 23rd at the Grandel Theater when the St. Louis Sound Project presents the Tonina Quartet, the Adam Maness Trio, Danny Campbell & Helios, and special guest, Anita Jackson! 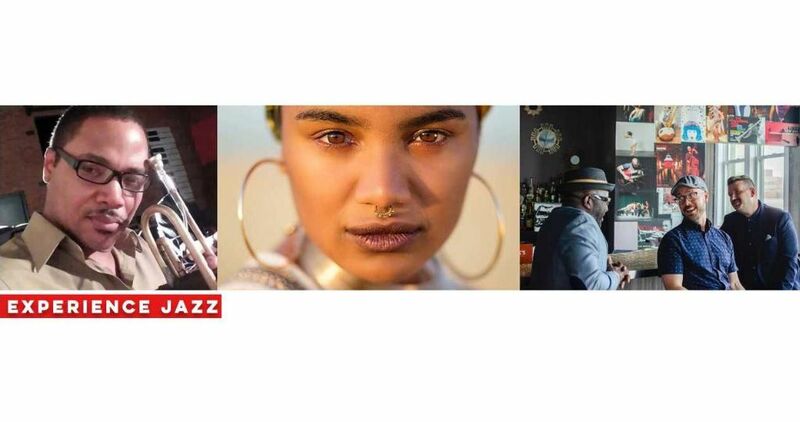 Tonina is a St. Louis-born singer/songwriter, bassist, journalist, and poet who combines jazz with influences from other genres to create her own unique style. Former President Barack Obama highlighted Tonina’s “Historia de un Amor” as one of his favorite songs of 2018. St. Louis native Adam Maness leads his dynamic trio in performances of jazz classics as well as skillful reimagining of songs by rock musicians such as Elliot Smith. Maness is a versatile multi-instrumentalist on piano, guitar, melodica, and other instruments, as well as an exceptional songwriter and arranger. Local trumpet and flugelhorn player Danny Campbell, along with his band Helios, closes out the concert with a set that features a tribute to two legendary St. Louis horn players: Miles Davis and Clark Terry. Campbell and the band will also accompany acclaimed vocalist Anita Jackson to wrap up this all-star concert! St. Louisan Chuck Berry was one of the earliest rock ’n’ roll hit-makers whose influential guitar style remains at the center of rock to this day. 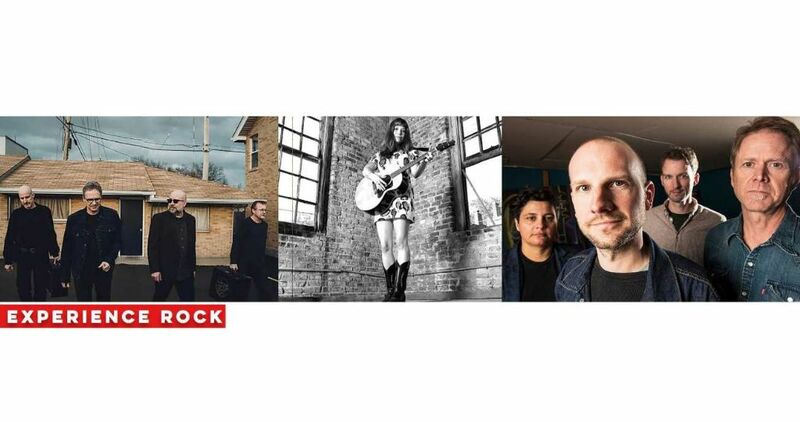 Experience rock with the St. Louis Sound Project on March 26th at the Duck Room with artists Finn’s Motel, Desire Lines with Jenny Roques, and Grace Basement. Finn’s Motel is fronted by St. Louis rock staple Joe Thebeau and features intelligently written and highly melodic songs with amazing and urgent instrumentation to back them, provided by Steve Scariano, Jack Petracek, and Scott Roever. Desire Lines features the lineup of Matt Pace, Sam Golden, and Ryan Adams, who provide the perfect musical backdrop to get across the moody, sometimes dark, and always insistent rock sound delivered by vocalist Jenny Roques. Grace Basement is the acclaimed rock side project of St. Louis folk musician, multi-instrumentalist, and producer Kevin Buckley that explores a guitar-based rock sound accented by orchestral flourishes and chromatic swirls. All ages: Under 21 must be accompanied by a guardian 21+. Doors at 6pm. In the early part of the 20th century, St. Louis became a major center for urban blues players. Experience the blues with the St. Louis Sound Project on March 28th at BB’s Jazz, Blues, and Soups with the Aaron Griffin Band with Boo Davis and Eric McSpadden, Rich McDonough & Rhythm Renegades with Vince Martin and Marquise Knox, and Roland Johnson & Soul Endeavor with Marsha Evans and special guest Robbie Montgomery. Aaron Griffin, son of St. Louis blues artist Larry Griffin, partners with local blues players Boo Davis and Eric McSpadden to perform traditional blues with a twist. St. Louis-born Marquise Knox joins local blues artists Rich McDonough & Rhythm Renegades and Vince Martin in a showing of what St. Louis blues is all about. Marquise has performed with some of America’s most notable blues performers, including B.B. King and Pinetop Perkins, and has performed at dozens of festivals and toured throughout Europe. St. Louis band Roland Johnson & Soul Endeavor mixes soulful rhythm and blues with elements of jazz, funk, and rock. They are joined by Marsha Evans, a lifelong blues singer, with special guest Robbie Montgomery, restaurateur of Sweetie Pie’s and a former background singer for Ike & Tina Turner. All ages: Under 18 must be accompanied by an adult 21+. There is a $3 surcharge on minors at the door. 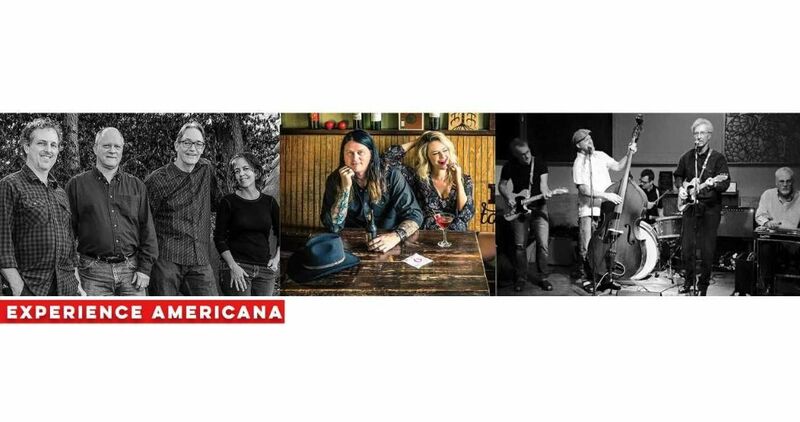 Americana grew from the alt-country movement that was kick-started in large part by Uncle Tupelo in St. Louis clubs in the late ’80s and spread further by the Bottle Rockets in the ’90s. Experience Americana with the St. Louis Sound Project on March 30th at Off Broadway with artists Fine to Drive, BAJA, and Colonel Ford. Fine to Drive, founded by the songwriting team of Suzy Bacino and Michael Eisenbeis, is an original Americana band known for its distinct harmonies and unique sounds. BAJA is a St. Louis Americana supergroup, combining the talents of John Wendland and Andy Ploof with Brad Sarno and Auset. Blending intelligent, well-observed songwriting with country-folkish instrumentation, BAJA embodies the essence of DIY folk. Colonel Ford keeps pre-outlaw, traditional honky-tonk alive with St. Louis music veteran Gary Hunt’s original compositions and a slew of covers backed by instrumentation that maintains their country roots without stagnating. Click here to purchase the All-Access Wristband to attend all five shows for just $30! From the French fiddlers of the fur-trading days to the rock and hip-hop icons of the present millennium, St. Louis has long been a town rich in musical history. Though it has rarely been cited as a center of any music scene, any area that has been home to Chuck Berry, Miles Davis, Ike & Tina Turner, Grant Green, Pavlov’s Dog, Uncle Tupelo, Nelly, and Pokey LaFarge has clearly deserved more attention. This book tells the story of music in St. Louis, from the symphonic to the singer/songwriter, from the radio stations that propelled it to the fanzines that documented it, from the musicians who left here for greater fame to those who stayed and made this town more vibrant. This is the first time that all the tributaries of the great St. Louis river of song have been covered in one place: classical, jazz, blues, R&B, rock ’n’ roll, country, hip-hop, and more. Click here for additional information about the book.